The Metro Manila Film Festival Executive Committee (MMFF Execom) revealed on Friday afternoon that its selection committee has chosen the first four official entries to the annual Christmas movie screening and competition. These are Viva Films and Star Cinema's "Fantastica: The Princess, The Prince and the Perya" starring Vice Ganda; Viva Films' "Aurora" starring Anne Curtis; Quantum and MJM Films' "Girl in the Orange Dress" with Kim Chui, Jessie Mendiola and Jericho Rosales; and Mzet, APT and CCM Productions' "Popoy En Jack: The Puliscredibles" starring Vic Sotto and Coco Martin. The film entries this year were evaluated based on the following criteria: 40 percent artistic excellence; 40 percent commercial appeal; 10 percent promotion of Filipino cultural and historical values; and 10 percent global appeal. The remaining four slots as official entries shall be selected from all the submitted finished films to complete the eight official entries to the 2018 MMFF. The passenger ship Aurora mysteriously collides into the rocky sea, and threatens an entire island and a young woman and her sister’s lives; they must survive to stay alive by finding missing dead bodies for a bounty, while at risk from visitors who seek shelter in their home. ^hahaha and i saw sa news may family of 4 or 5 ata na naka pila to watch the movie which costs 350 ata each. worth it daw dahil magaling daw si Vice! bwahahaha!!! 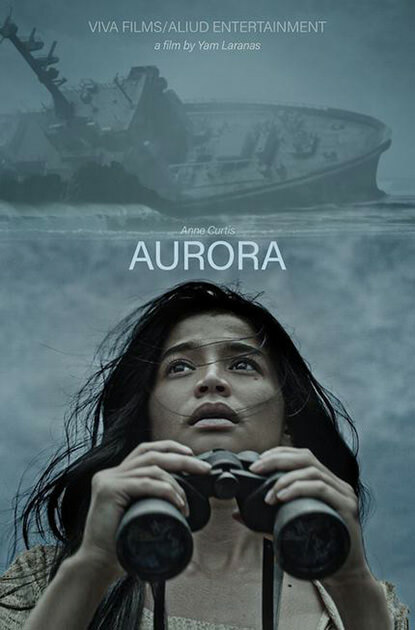 Aurora (Yam Laranas) **1/2 - This is the first and probably the last film I see in the 2018 Metro Manila Film Festival and most likely the last film I see in the theaters for 2018. So it saddens me to report that this is barely okay. The concept is strong: A passenger ferry is wrecked off the coast of an island and the bodies haven't been recovered. But their ghosts are starting to haunt the one regular resident on the island, played by a capable Anne Curtis. Okay, that's a strong concept but the thing goes off the rails quite quickly. The script didn't seem to know what it really wants to do with it. It desperately needed another rewrite. That said, it's well-made and kudos to a full-orchestral score. That's something rare in Filipino films. why, budget problem or we simply do not know how to make better films? I don't think a big budget is a requirement for a quality film. There are quality Filipino films, mostly in the local indie scene. Just no truly good movies in the MMFF, which I believe is due to their criteria to prioritize commercial viability over artistic quality. I agree. And I think the morass is deeper than that, too, unfortunately. The MMFF is regulated by an agency wholly dissociated from the arts. The MMFF board perceive commercial viability to be big stars cast in camp flicks with shallow depth. The only production companies which can afford said big stars are unwilling to risk millions on unproven plotlines and maverick moviemaking. Cinemas are far too expensive as the average ticket price is more than half the daily minimum wage. Theater associations are also unwilling to take a chance at innovative films as they fear a loss on the most profitable box-office season of the year. Television is the primary source of visual arts in the country, and the biggest studios are also unwilling to risk prime time hours on new story concepts. Our K12 curriculum has barely any content on film as an artform. The Philippine film industry, in general, is staffed with inadequately trained personnel, some of whom got their jobs thanks to helpful padrinos and not due to merit. I think it starts with the MMFF being changed to a national FF and regulated by a national body associated with the arts, commercial viability be damned. Theater associations these days are being bankrolled by the big mall owners and are already milking the holidays, anyway (playing xmas music as early as September is downright reprehensible). The first couple of festivals will probably just barely break even but the competition to get xmas seats will eventually change the landscape. ^ oo nga, parang yung south korea, nag-invest talaga sila sa film industry nila, tapos mahirap pumasok ang mga foreign films, kaya napilitan ang citizens manood at mag-expect ng mataas sa films nila.